Cruising along through the countryside on a narrowboat, away from the sights and sounds of modern life, it’s easy to imagine that you might have travelled back into the past. For some, the attraction of a narrowboat holiday is a taste of a simpler life, reminiscent of times gone by. Will you be one of the mooring customers who will be taking to the waterways this Halloween? Our hire boat base and mooring basin in March is the ideal starting point for those who enjoy exploring old market towns and the romance of England’s “olden days”. But with Halloween fast approaching it’s possible that the past will soon be catching up with us in the form of ghostly hauntings! A narrowboat is the stealthiest way to travel if you are planning a paranormal investigation in Cambridgeshire. Before leaving the hire boat base in March beware that the local Ambulance Station is said to be haunted by a former supervisor. He is dressed in an old uniform with peaked cap, and his disembodied footsteps can be heard as he opens and closes doors. You will notice the church is south of the river but it is said that the villagers of March had planned to build a church in the village. The Devil relocated the construction materials to across the river, where the church is now. And finally, out on the Fens west of March a ghostly light has been reported, eerily drifting in an attempt to lure the unwary to their doom. For further ghostly activity follow the Foxboats route from March to Cambridge, which harbours plenty of strange legends and eerie anecdotes. As you cruise down the Ouse from Salter’s Lode you will discover long lost rivers, ancient inns and the murdered ghosts of Southery. The charming Fenland isle of Littleport also has its own gruesome history of violence and death: Read more in The Spooky Truth About Cruising to Ely. The Old Ferryboat Inn in Cambridge was built in 1050 and dates from the Anglo-Saxon age. 17 year old Juliet Tewsley tragically hung herself from a tree outside of the Inn after being rejected by her lover. She now returns to the inn on the anniversary of her death to look for her lost love. Her body is buried under the floor of the Inn. The ghost of a nun haunts Abbey House, a sixteenth century house in Abbey Road, built on the site of Barnwell Priory, which was established in 1112. The otherworldly nun wanders into bedrooms around Spring time and stands at the end of beds before disappearing into the curtains. 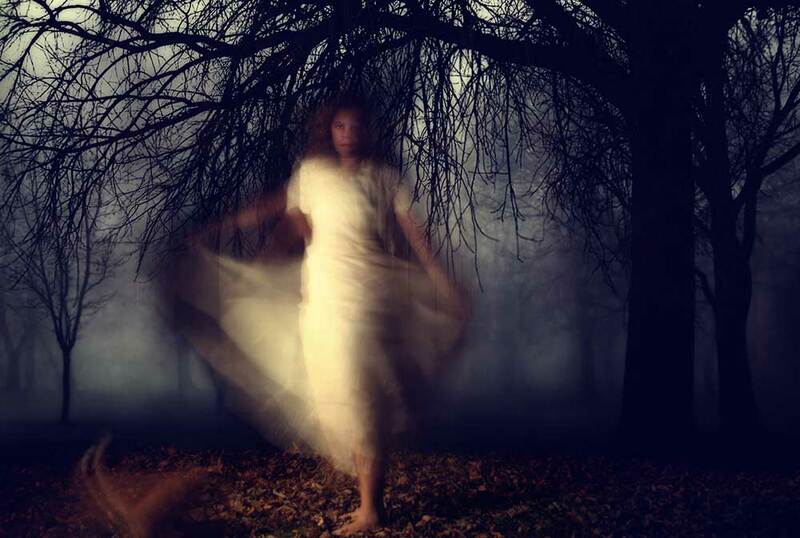 Other supernatural incidents include loud banging on bedroom doors, footsteps on the staircase and an apparition rattling chains around the room. If Halloween has piqued your interest in ghost stories and local legends then book now for next year’s narrowboat holiday and discover much more of Cambridgeshire’s history, spectacular Fenland skies, and enjoy some leisurely boating on some of the least crowded waterways in Britain. ‹ Mooring customer John Revell talks of the Old Bedford river.